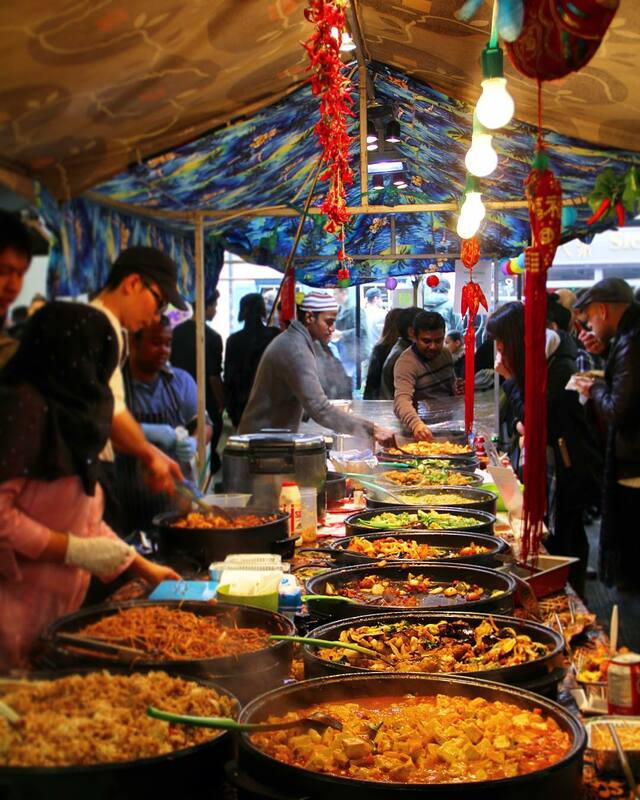 Seven markets combine to create one mega winter night market. Winter nights can be cold and dreary, but if you’ve got a cool market to browse, they’re a little easier to manage. Clearly, nobody told Truman Markets that one would suffice, because they’re bringing together seven markets. 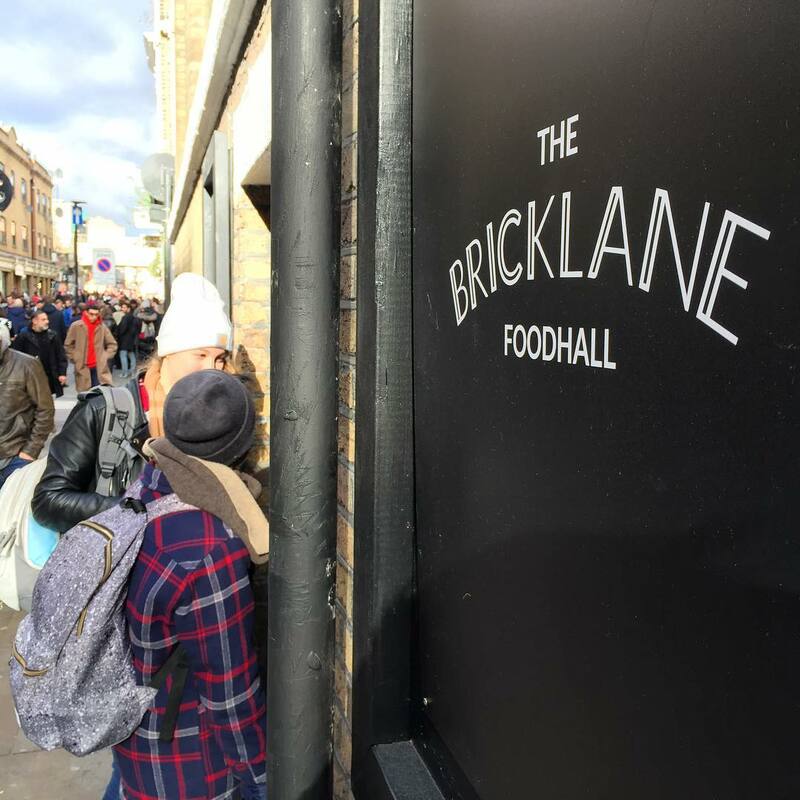 Yes, they’re uniting the seven markets of Brick Lane to launch one huge winter night market. It runs on Thursday December 14th, for one night only. Seems like Christmas has come early this year! 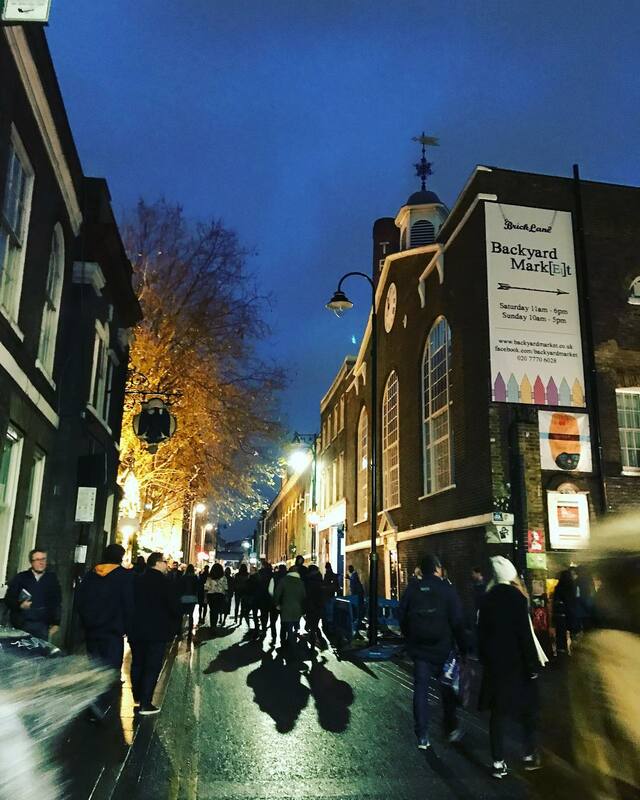 The Winter Night Market is composed of – deep breath – the Sunday Upmarket, Backyard Market, Boiler House Food Hall, Ely’s Yard Street Food, Vintage Market, The Tea Rooms Market, and The London Artisan Market. Phew. As a result, you can expect to see vintage fashion, arts and crafts, and more street food than you could eat in a lifetime. As you know, we never miss a chance to tell you about street food. Orange Buffalo and Mother Clucker are bringing the chicken, whilst Caboose are on the scene with burgers. Meanwhile, Pomodoro E Basilico will serve up fiendishly good vegan Italian food. Mulled wine and winter cocktails will make the customary appearance, and entertainment will be provided by Junkyard Golf and The London Shuffle Club. Additionally, London City Voices Choir will pop along with carols and Christmas cheer. The Winter Night Market is open from 4:30pm to 9:30pm, on Thursday December 14th. However, it isn’t quite the end of night markets on Brick Lane. Following on from two successful nights earlier this year, Vegan Nights returns for a third edition. You’ll find them at The Old Truman Brewery on Thursday 21st – check the Facebook event for more details. Ely’s Yard, off Hanbury Street, E1 6QL. Nearest stations are Liverpool Street and Shoreditch High Street.